His Beatitude, Metropolitan Tikhon of All America and Canada was born in 1966, the eldest of three children born to Francois and Elizabeth Mollard. After brief periods living in Connecticut, France, and Missouri, he and his family settled in Reading, PA, where he graduated from Wyomissing High School in 1984. In 1988, he received a Bachelor of Arts degree in French and Sociology from Franklin and Marshall College, Lancaster, PA, after which he moved to Chicago. In 1989, he was received into the Orthodox Church from Episcopalianism and, in the fall of the same year, he began studies at Saint Tikhon’s Seminary, South Canaan, PA. One year later, he entered the monastic community at Saint Tikhon’s Monastery as a novice. He was awarded the Master of Divinity degree from Saint Tikhon’s Seminary in 1993, after which he was appointed Instructor in Old Testament and subsequently Senior Lecturer in Old Testament, teaching Master level courses in the Prophets and the Psalms and Wisdom Literature. He also served as an Instructor in the seminary’s Extension Studies program, offering courses in the lives of the Old Testament saints, the liturgical use of the Old Testament, and the Old Testament in patristic literature. In 1995, he was tonsured to the Lesser Schema with the name Tikhon, in honor of Saint Patriarch Tikhon, Enlightener of North America. Later that year, he was ordained to the Holy Diaconate and Holy Priesthood at Saint Tikhon’s Monastery. In 1998, he was elevated to the rank of Igumen, and in 2000, to the rank of Archimandrite. In December 2002, he was named Deputy Abbot of Saint Tikhon’s Monastery. 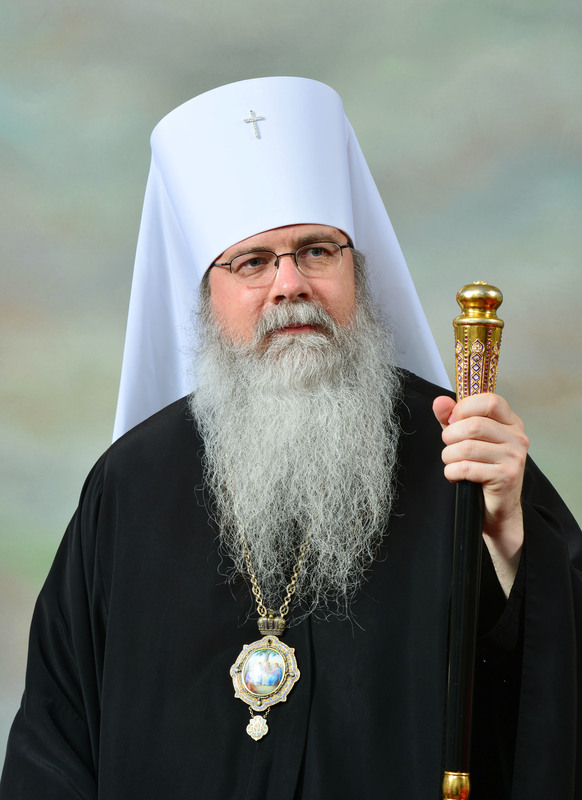 After his election to the episcopacy by the Holy Synod of Bishops in October 2003, he was consecrated on February 14, 2004 at Saint Tikhon of Zadonsk Monastery Church as the first Bishop of South Canaan, auxiliary for the Diocese of Eastern Pennsylvania. Following his nomination as ruling hierarch by a diocesan assembly and subsequent canonical election by the Holy Synod on May 27, 2005, he was installed as Bishop of Philadelphia and Eastern Pennsylvania on October 29, 2005. 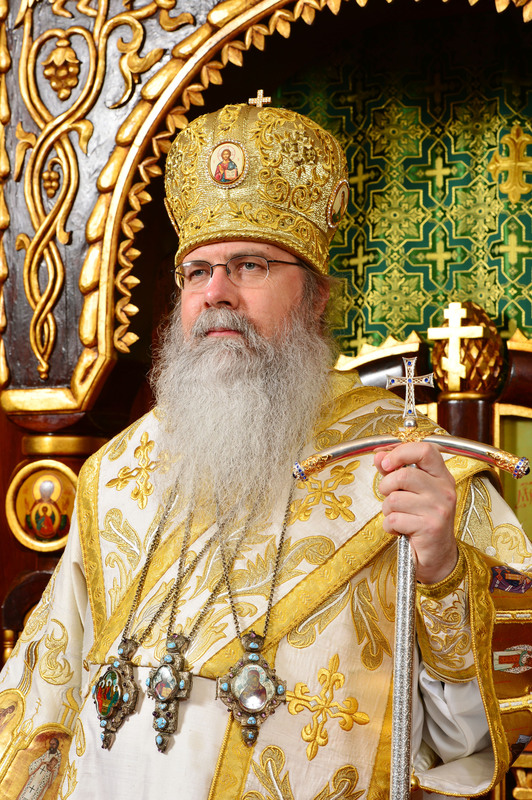 From 2005 to 2012, he also served as Rector of Saint Tikhon’s Seminary. He was elevated to the dignity of Archbishop on May 9, 2012. In addition to his primatial duties along with archpastoral oversight of the Archdiocese of Washington and Stavropegial Institutions, he served as Locum Tenens of the Diocese of the South from March 2015 to March 2016. On September 14, 2015, Metropolitan Tikhon was honored by St. Vladimir’s Orthodox Theological Seminary with the bestowal of a Doctor of Divinity degree, honoris causa.